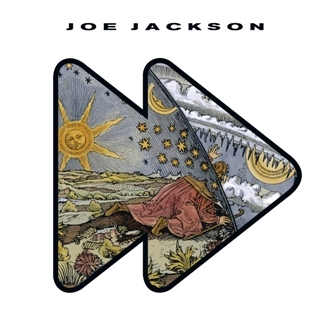 Joe Jackson's latest album could have been called Around The World as it features four sets of songs recorded in different cities in Europe and America. The singer/ songwriter chose instead to name his first collection of mostly original material in seven years Fast Forward but he will be travelling around the world to promote it with a tour that reaches Birmingham Institute on February 11, 2016. Originally conceived to be released as a series of four EPs, the album was recorded in New York, New Orleans, Berlin and Amsterdam, with a different set of supporting musicians on each set of tunes. Tracks: Fast Forward/ If It Wasn't For You/ See No Evil/ Kings Of The City. Joe has called New York home for many years. He recorded these tracks with Bill Frisell on guitar, Brian Blade on drums, his long-time bassist Graham Maby and jazz violin star Regina Carter. Along with three originals including the album's title track, these sessions feature a scorching take on a New York classic, Television's See No Evil, written by Tom Verlaine. Tracks: A Little Smile/ Far Away/ So You Say/ Poor Thing. Distinguished by the most diverse instrumentation of the four sessions, Joe is joined on these songs by frequent collaborators Stefan Kruger and Stefan Schmid from the band Zuco 103, the Concertgebouw orchestra and the project's only guest vocalist, 14-year-old Mitchell Sink. Tracks: Junkie Diva/ If I Could See Your Face/ The Blue Time/ Good Bye Jonny. Berlin is Joe's second home and he recorded here with two expatriate American musicians, acoustic bassist Greg Cohen (Tom Waits, Ornette Coleman, Bob Dylan) and Tindersticks´ drummer Earl Harvin. These sessions produced the album's second cover, Joe's version of the 1930s German 'Kabarett' song, Good Bye Jonny. Tracks: Neon Rain/ Satellite/ Keep On Dreaming/ Ode To Joy. Joe travelled to one of his favourite cities, New Orleans, to record with an all-local cast including three members of the funk band Galactic - drummer Stanton Moore, bassist Robert Mercurio, and guitarist Jeff Raines – and a horn section led by saxophonist Donald Harrison. The Fast Forward European tour will feature Joe performing as his own support act. He will play a short solo/piano set before bringing out a full band which will include Graham Maby on bass, guitarist Teddy Kumpel (Rickie Lee Jones, Feist) and drummer Doug Yowell (Suzanne Vega, Ari Hest). Joe became an overnight success when his first single, Is She Really Going Out With Him, was a hit in 1979. He has since released 20 studio albums with styles ranging from New Wave and Classical to Jazz and Swing. His previous release to Fast Forward, 2012's The Duke, was an ambitious, horn-free tribute to Duke Ellington. Why? 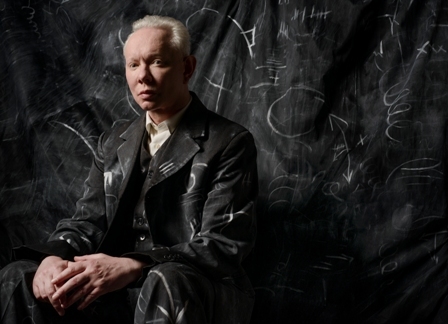 Joe Jackson returns with a new album recorded around the world.